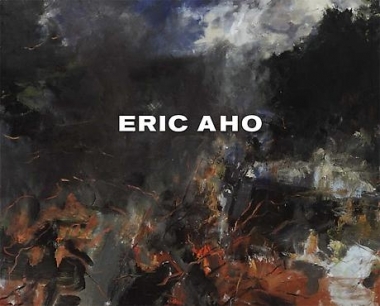 DC Moore Gallery is pleased to announce the upcoming exhibition Eric Aho: Red Winter, October 8 to November 7, 2009. Eric Aho explores extreme conditions of nature in landscape paintings that incorporate traditional representation, gestural abstraction, and implied figuration. Influenced by the history of painting in surprising ways, his work bridges diverse associations ranging from Courbet to deKooning. Following studies at the Central School of Art and Design in London, Aho received his BFA from the Massachusetts College of Art. In 1989 he participated in the first exchange of scholars, in over thirty years, between the U.S. and Cuba. His postgraduate work was completed at the Institute of Art and Design in Lahti, Finland supported by a Fulbright Fellowship and a grant from the American Scandinavian Foundation. Aho’s paintings are collected widely and have been shown internationally in Ireland, South Africa, Cuba, Norway, and Finland. Recent exhibitions in the United States include: Aldrich Museum of Contemporary Art, Ridgefield, CT; Hood Museum of Art, Hanover, NH; Portland Art Museum, ME; Ogunquit Museum of American Art, ME; National Academy, New York; and American Academy of Arts and Letters, New York. Eric Aho lives and works in Saxtons River, Vermont.